I have come to the conclusion that there are two types of cooks in the world: those who follow a recipe to create something specific, and those who look in the fridge to see what they can scrounge up and try to pass it off as a meal. I am a member of that second group. Since my fridge usually doesn’t have anything interesting in it, I have to get creative. Broccoli was my ingredient, and I had to make it into something worthy of serving to others as a complete dish. 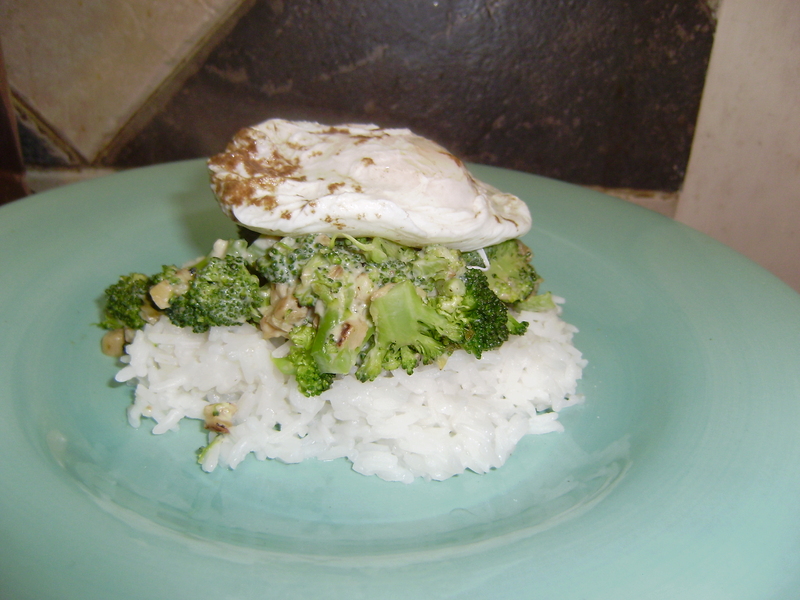 Luckily I found rice, and practiced poaching eggs, thus creating something … interesting. And tasty! 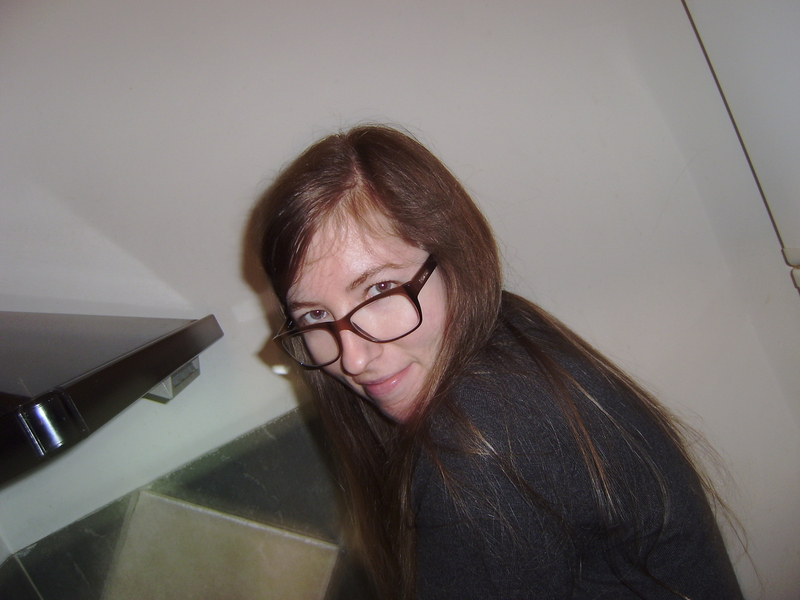 Here I am caught in the act, right in the midst of the ‘creative’ process. I sautéed onion and garlic to add to the broccoli. That was my finishing touch. 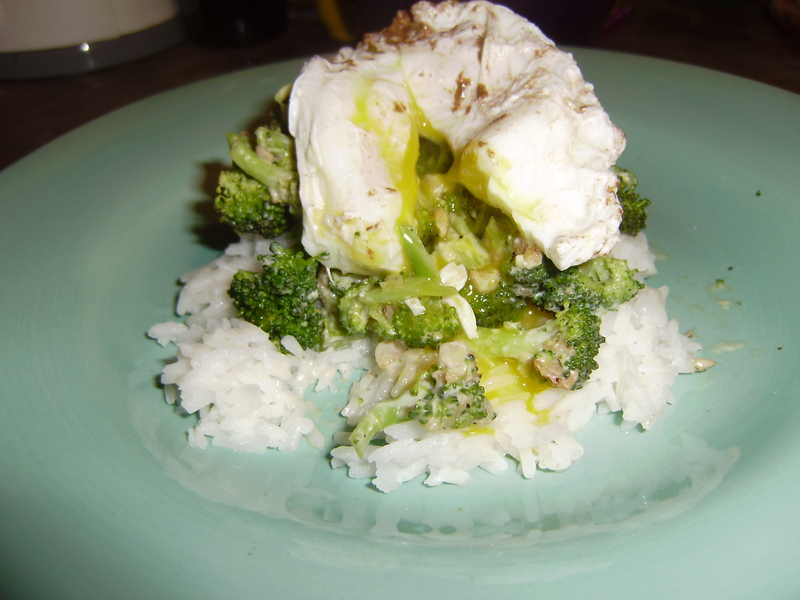 No, I never would have thought of broccoli, rice and a poached egg as a gourmet meal, but its amazing the things you appreciate when you’re really hungry and sick of steak. omg…looks soo good. i want a restaurant (well my brother and i) that will serve a fried egg on top of anything you order. breakfast?—fried egg. hamburger?—friend egg. ice cream?—fried egg. if you order a fried egg?–you get a fried egg!!! The answer is making “torrejas”. Have spiced podwer stored for in case.